The After Party begins on the Sports Objective! The guys talk about some breaking news with ECU Basketball. ECU Head Football Coach, Scottie Montgomery stops by and talks about the program in preseason. Find out some breaking news! 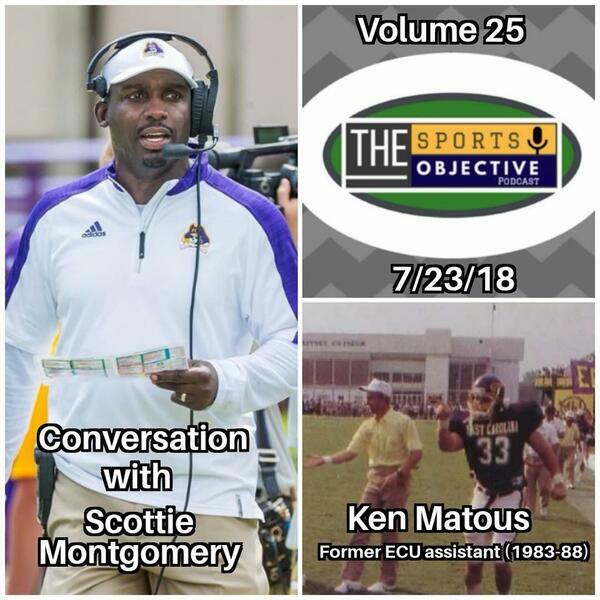 Ken Matous, an assistant coach under Ed Emory and Art Baker talks about his time at East Carolina. He coached Scottie Montgomery at Duke! What is he up to now? Like the Sports Objective Facebook Page...follow us on Twitter @TheSportsObj!! PIRATE APOCALYPSE! ECU suffers 28-23 setback to FCS foe NC A&T!